Journalism is an extremely popular career choice and with many forms of journalism available, it is a well sought after career choice for many. By reading our insider’s guide, you can begin to pursue a successful long term career as a journalist. With more and more graduates and already experienced professionals entering the field, the competition for journalism jobs is harder than ever before. You will need to work extremely hard to build a successful career as a journalist, but the rewards are limitless. Along with the buzz you’ll get from reporting on huge stories, you’ll get to travel and meet different people from all walks of life. 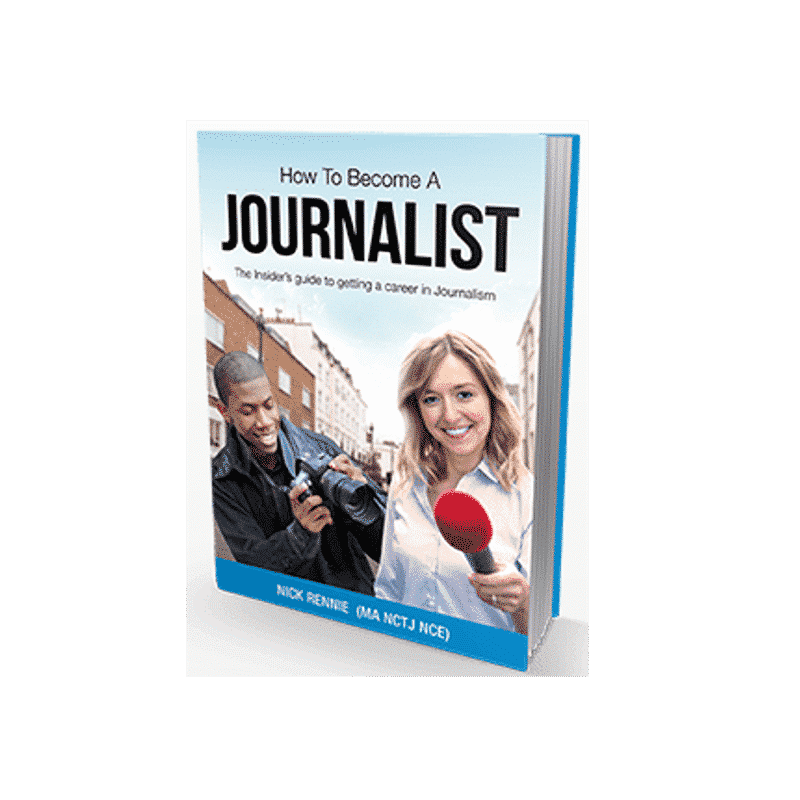 A career in journalism is testament to the power of the simple notebook and pen; in this guide we will show you how and why you should consider becoming a journalist, with or without a journalism degree. 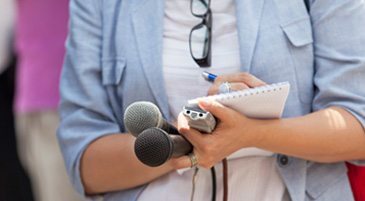 When anyone considers applying for a vacancy or making a career change, the first question they usually ask themselves is: Can I do this job, what are the requirements needed to become a journalist? Journalists come from all social and ethnic backgrounds. Some of them are university graduates or people who have taken a related training course, and plenty have started out with no journalistic qualifications. However, there are a specific set of personal qualities you need to make a success of the job. Journalists want to find things out and they like to challenge authority. They constantly seek authentic sources for stories to back-up a tip-off or a leak. How many times do you hear people say ‘don’t believe what you read in a newspaper’? In fact, newspapers and broadcasting outlets are some of the few remaining sources of news you can believe because they check facts. In a world when anyone can publish their thoughts online with the click of a mouse we are awash with opinions on social media and internet forums, many of which are based on hearsay, which is defined as information received from other people which cannot be substantiated. The job of a journalist is to publish the truth in a balanced way, with reference to both sides of an issue or argument. Asking questions of trusted sources is the only way to achieve this. You need to be inquisitive to thrive in the world of journalism. That means having your eyes and ears open to potential news stories when you are driving to work, walking down the street or watching television. As a news and features writer you will be covering subjects you know nothing about and which you’ve never before had an interest in. These days we can always rely on Google to mug up on something in a few seconds. But you will find yourself in situations where a story breaks around you or it assumes a different focus and so it is important to know about as wide a range of topics as possible. Your mind needs to act like a sponge, soaking up information and intelligence when you are watching television, reading a newspaper or magazine or listening to the radio. If you approach someone for an interview it helps if you know what you are talking about, even if it is just a working knowledge about something or someone. This is particularly true when you are a young reporter when older people or senior members of an organisation might have doubts that you possess the necessary authority or gravitas to tell their story. It’s a fact of modern life that many of us do a lot more hours at work than we are actually paid for, whatever job we do. Journalism is certainly not a profession for someone who is a clock-watcher. You’ll be asked to cover evening meetings at your local council on a provincial weekly newspaper or you might have to stay in the office to reach an important source for a story who is unavailable during working hours. Some news outlets operate a weekend rota system where reporters take turns to be on call on a Saturday and Sunday. And, of course, if you are on the sports desk then you will likely be out reporting on matches at weekends. The night before deadline day or ‘press day’ as it is often called, might involve a couple of extra hours in the office. The need to update websites 24/7 means today’s journalists are more and more likely to be working late but it’s a small price we pay for reporting the news efficiently and as quickly as possible. There was a time when weekly reporters had plenty of down time with deadlines often days away. But every newspaper has a website now and multiple social media channels so every journalist is effectively working for a daily, real time, news agency. If you can’t take criticism then journalism is not the career for you. You will get occasional abuse via a telephone caller who is unhappy you didn’t cover their story in the latest issue. Members of the public might have a go at you at a community meeting about something the paper printed – it might not even have been your article but you will have to sit and take it. There will also be occasions when you attend distressing events, like funerals or memorial services for people who have died in tragic circumstances. You might feel you are intruding in some cases but you maintain an air of professionalism because these occasions are in the public interest. There’ll be other times when your stomach is turned by evidence given at a violent murder trial or an animal cruelty case. Or you might be asked to interview members of the local foxhunting group when you abhor the sport. But in all of these cases you are there to report the news, fairly and accurately and you can’t let the subject matter get to you. One of the most popular questions asked of journalists, is on how they go about sourcing their news. People who don’t work in the industry are fascinated about how a newspaper is filled up with stories, features and photographs reflecting life in the community it covers. Trainee journalists today have a very different experience with the ability to look something up online in a matter of seconds. There are also a multitude of communication channels to use. In a world before mobile phones and email it was often very difficult to contact key sources for stories if all you had was a home telephone number for someone or an address. Today, of course, the majority of people have a mobile so they are easier to get hold of and many have access to their social media accounts throughout the day. It’s a totally changed landscape for the modern journalist which enables us to source more news easier and quicker. This means, of course, that readers, listeners and viewers are eager to hear about breaking stories as soon as they happen or very shortly afterwards. Reporters on weekly newspapers are now essentially working like journalists on dailies or 24-hour TV news channels. And anyone who works in a print or broadcast outlet has a responsibility to provide a rolling news service, with a requirement to post the latest stories on their websites and on Twitter and Facebook feeds. So, how do journalists source their news? News outlets are sent dozens of press releases every day. Many of them are poorly written and little more than a request for a free plug for a new service or product. Unfortunately, because news teams are often short of resources and they need to be publishing information throughout the day, more press releases are being used virtually word for word as they are written. My tip would be to not take every press release on face value. There is often a better story buried somewhere in there, either because the press officer lacks the necessary news sense to bring it out or because they are trying to obscure something which might adversely affect their organisation’s reputation. The good news is that more journalists are making the crossover to public relations and as a consequence press releases are better written. But it is as well to remember that they are still releasing essentially news with a bias towards their organisation. So in many cases you will need to get a comment or two from someone with an alternative view of an issue in the interests of balance. Every journalist should be on Twitter. This social media platform is a gift to reporters because it provides a rolling real-time news service from relevant sources throughout the working day. Newsrooms used to talk about a breaking item coming through on the wires from agencies such as Reuters or the Press Association. Those companies are still running successfully but Twitter provides something very similar and it is totally free to use. Local reporters should follow the accounts of every organisation, business and school in their patch and as many relevant prominent individuals as they can. Keep an eye on your Twitter timeline and you will regularly see someone post something which is newsworthy and worth following up. If you’ve cultivated a relationship with local users they will often tip you off by Tweeting a message to you or sending a private direct message which is not seen by the public. By performing regular Twitter searches using keywords relevant to your patch you can get an insight into issues which are important to those who live and work there. Most news organisations now have their own Facebook page which contains a rolling timeline of stories. The beauty of this social media platform is that readers can comment in detail and what they post can often change the angle of a story or prompt a follow-up. It’s important to keep an eye on your company Facebook site, though, because offensive language can occasionally be used, particularly in the aftermath of a controversial issue being reported. Such comments need to be moderated and removed immediately. There are huge advantages to be had for newspapers and broadcasters from getting readers to ‘like’ their Facebook page. Your aim should be to get them sharing content with their friends and encouraging people to get involved in topical debates. They are potential sources of news. It’s a bit like being able to eavesdrop on conversations between friends or colleagues in the pub or the coffee shop. Occasionally something newsworthy will crop up and there will be times when a Facebook user will comment with something like ‘the local paper should be reporting on this’. Many organisations also use Facebook as their official website so by monitoring their messages you will pick up titbits which can be turned into news. Whenever you write a story which is likely to develop in future weeks you need to make diary notes to remind you at a later date. These include, for example, court stories where there has been an adjournment or an appeal, articles on people preparing to do interesting charity challenges and planning applications set to be heard. It’s always worthwhile including a contact telephone or mobile number for a source on a story to remind yourself or so someone else in the office can pick it up. Anniversaries of incidents or other stories covered previously also make good articles. This is where the newspaper archive is particularly useful. Look back at the issue from exactly a year before and you will come across something to write about one year on. It might be a child who is recovering from a serious illness, a person who survived being in the middle of a disaster or terrorist attack or perhaps a period of heavy flooding which damaged the homes of local people. It goes without saying that conducting interviews is an integral part of a journalist’s life. In order to write reports and headlines, journalists need to speak with the subject of their story. In today’s journalistic world, the best way to engage with your audience is to concentrate on the human impact of the story, and this obviously involves speaking to or interviewing the persons involved. So, what kind of things can you do to ensure that your interviews run smoothly? Make sure you mug up on the person you are about to interview and the issue you are reporting on. Check through back copies of your newspaper or previous broadcasts and do an online search for any related stories which are relevant. It helps when you are a trainee to list the important questions before the interview. But be prepared to ask other questions if the interview moves off in a different direction and a new angle emerges for your story. Your subject is likely to be more responsive if you are informed about them or the issue you are talking about so it is vitally important that you put in the preparation work. 2. GAUGE HOW LONG THE INTERVIEW WILL BE. Always ask at the start how long your subject has for the interview. Otherwise you may well be cut off before you’ve asked those all important key questions. If you are pushed for time you need to ask the critical stuff right from the beginning. Make sure you have that information in your notebook. If the subject is short for time you could always try re-arranging the interview for a different time when they can spend more time with you, assuming that deadline is not fast approaching, of course. 3. ADOPT THE RIGHT TONE. There will be times when you have to interview family members of someone who has died tragically. Clearly, you need to adopt a caring, sombre, respectful tone here and you should avoid any questions which are likely to upset or distress your subject. Other articles can be offbeat and humorous and in this instance there is nothing wrong with adopting a more light-hearted air to your questioning, while retaining a degree of professionalism. There can also be a different tone depending on how the interview is being conducted. If it is on the telephone and you have never met the individual before it is as well to introduce yourself and explain why you would like to do the report. When you interview someone in person it is easier to build that sense of trust just from being face-to-face with them. This might sound obvious. But you would be amazed how many journalists don’t listen to what their subject is telling them. The end result, of course, is they get the story wrong and a complaint is invariably filed with the editor after it is published. When you are a trainee it is easy to furiously write everything down because you are desperate not to miss anything which is said. You are better advised just to sit there at the start and talk to the person in a normal conversation. And just write down the important stuff and information you are likely to use. If you miss something, for whatever reason, or you are not sure about it, then ask the person to go over it again. They want you to get the story right every bit as much as you do. This is undoubtedly the most crucial part of any story, because if you don’t grab the audience here they won’t be interested in the rest of your piece. Ask yourself what the story is and why it is important. Imagine you are telling someone about it. How would you phrase it? What details would you tell them first? The intro should include dynamic words and a statement which announces that something significant is happening or has happened. It also has to have a human element to it – was it an elderly person or a brave mum involved or did the story concern householders, schoolchildren or taxi drivers, for example. You need to stress that it is new and avoid, at all costs, dating the story by including the phrases last week or last month or, worst of all, recently. Tell the story as tightly as you can in that opening couple of lines and avoid jargon and over-complicated words so you don’t instantly alienate some of your readers. Avoid the temptation to over-dramatise your piece in a bid to wow the audience – stick to the facts but tell them in the most compelling way you can. Now you need to keep the attention of your audience by adding supplementary information to back-up what you hit them within the intro. 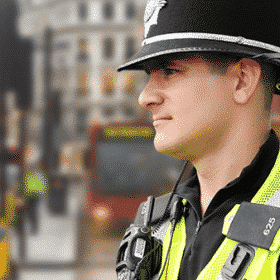 This is where you might refer more specifically to the location of an incident or the name of the individual or organisation involved. These lines contain solid details which legitimise why the story is important and they will also include a great quote or two. Someone might be telling you they are celebrating a great achievement, perhaps, or the survivor of a major accident will be explaining their emotions. Once you’ve got sections 1 and 2 in place you need to make the rest of the story flow. You should aim to explain here how something happened and why it happened. If it is a major incident you are reporting on, where people have been killed or injured, there will be a chronological order to what you write here. For most lead stories you should try to gather quotes from at least two different sources, preferably with contrasting takes on your subject matter. Their comments will then be weaved into your narrative to back up your account of the story. To finish your piece off you would generally include a quote from someone, perhaps reflecting on the issue or occurrence or predicting what is likely to happen in the future as a consequence. When the story is about an individual or an organisation which is appealing for help in some way you would add relevant telephone, email or website details at the bottom of your story. This is also the case with crime stories where the police are appealing for witnesses and they give out a phone line for people to contact. If a story is being published with some kind of outcome hanging in the balance, you might add the phrase ‘at the time of going to press’ in the event that the story quickly moves on. Now that you’ve written your story, it’s time to frame it with a fantastic headline. A headline is designed to catch reader’s attention, and draw them into the story. You need to make an immediate connection with your readership, and a great headline is the best way to do this. So, how can you produce a good headline? You should always be looking for the human angle because it will help readers engage more easily with the story. So, include words like parents, teachers, traders, councilors, taxi drivers, police officers, firefighters and motorists, for example. If the article is about an individual you might use their first name to personalise the piece, but only use the surname in sports reports. Draw the reader’s eyes in by throwing in some words which strongly illustrate the story. If a train has crashed, for example, you might say it smashed or plowed into a stationary train. An organisation or an individual which has achieved something impressive will be celebrating and residents who have failed to prevent a big new development opposite their homes will be angry or furious. A street murder, for instance, may have resulted in the victim being gunned down rather than shot. It is a good idea when you have a story about a new school or hospital, for example, to include the cost in the headline. ‘Pupils take first lessons in new £850,000 primary school’ will be more likely to catch the eye than ‘New school open for first day of term’. Put the cash prize in the heading when someone has won a Lottery jackpot or mention the percentage in the headline when you have a story about crime rates increasing drastically. Be aware when your story is also being uploaded to your publication’s website because the headline is crucial in dictating how many people see it online. If a celebrity or a well-known film or television programme is mentioned in the story then make sure there is a reference in the headline. That will result in traffic coming into your site from outside your patch because there is a wider interest and a higher searchability for your story. If the article refers to a town or village then get that in the heading, too, because readers will be searching for news from exactly where they live. In most cases you can write a separate headline for the printed publication and the website. It is important not to include the name of the same town or village too many times in headlines for the print version, though, or you will turn off readers who have no interest in that location. There is a great temptation to make more of something than is actually contained in the story. You might have a story about a woman who bruised herself in a minor car accident. Now traffic smashes can, of course, kill people but if you were to write a headline such as ‘Woman cheats death in car crash’ then it clearly does not reflect what happened in what was a low-key shunt. Similarly, a heading of ‘Pensioner celebrates lottery windfall’ for a piece about a man who won a £10 prize with his weekly Royal British Legion draw would not accurately reflect what has happened. Plus plenty of insider tips and advice throughout.